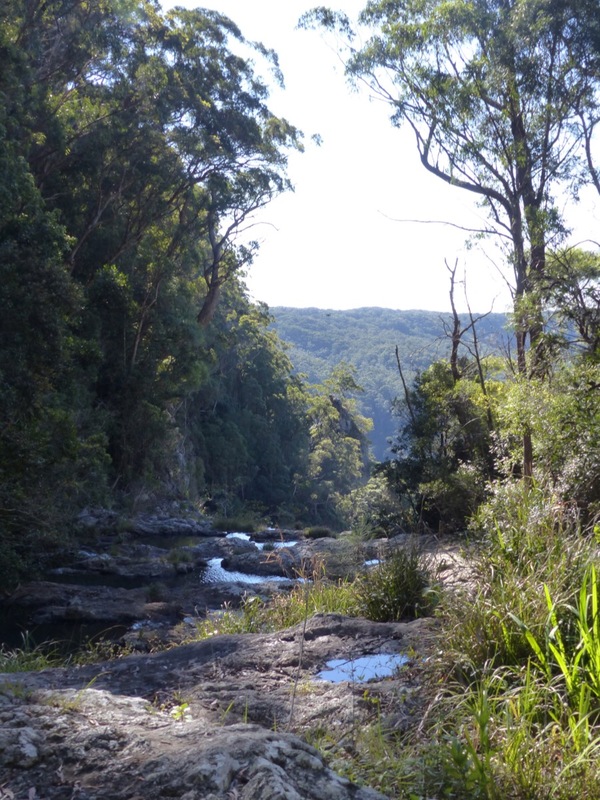 It was a gorgeous winter day yesterday so we headed for the beautiful hinterland behind the Gold Coast. 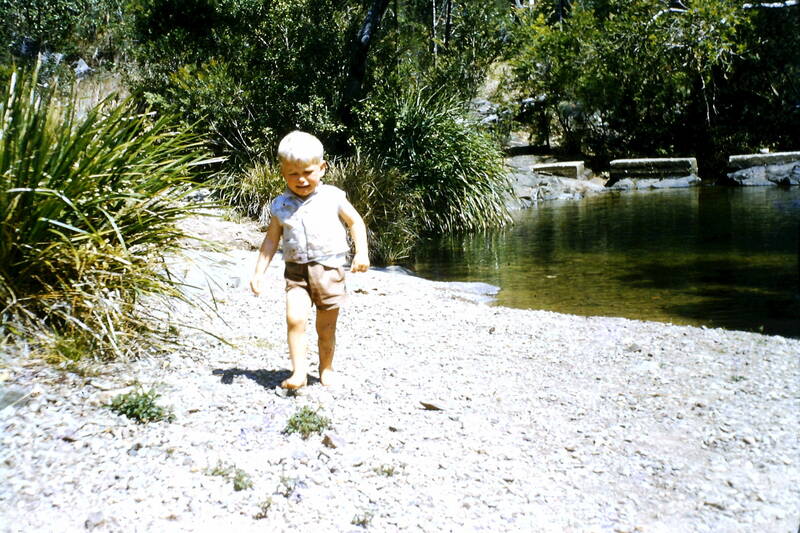 We went to Springbrook, arriving at lunch time. 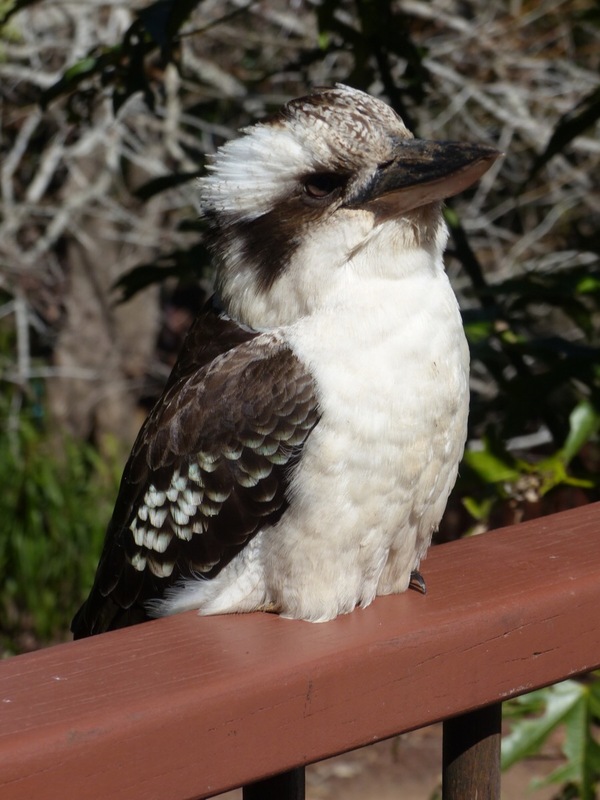 We settled in to our outdoor table and we soon had a visitor in the form of a large kookaburra. He was quite comfortable with humans and sat close. I was busy taking photos of him (or her) when he quickly swooped in and took of with a piece of my lunch. It seems while I was watching him he had an eye on my pie. After lunch we went on to Purlingbrook falls, a place I have visited several times over the years. We are having a drought in parts of Australia and I had not realised how dry the country is close to home. Our gorgeous sunny days have a downside. 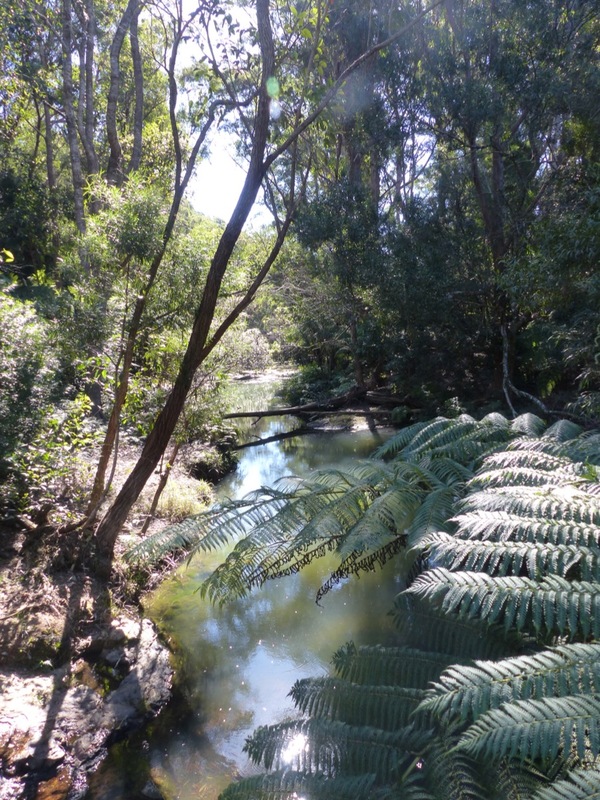 The rainforest is usually lush and green, but right now it is looking dry. 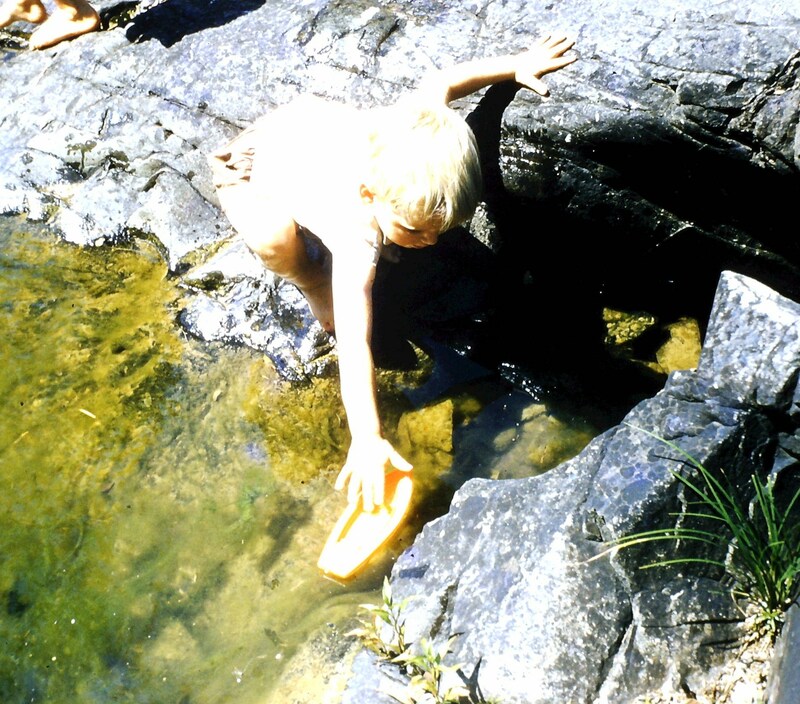 The water holes are low and there was little water falling over the edge. It is still beautiful, but not as I have seen it in the past. Below are some photos taken more than 60 years ago in the same place. My brother and I were playing near the water when my brother’s boat disappeared over the edge. I hope we get some rain soon. It is sad to see the bush so dry and our farmers are desperate for some good rainfall. 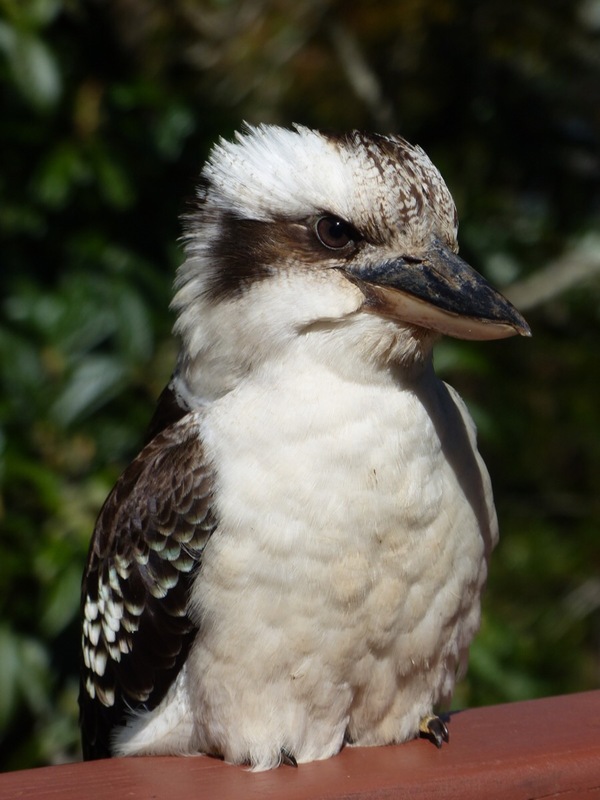 We feed a family of 3 kookaburras here on Lamb Island. We had to ban them from the deck whilst eating breakfast as they will take food off your plate quick as a flash. We had to stop them from chasing the butcher birds and upsetting the curlews. We love them but I believe my son when he calls them the bush mafia. 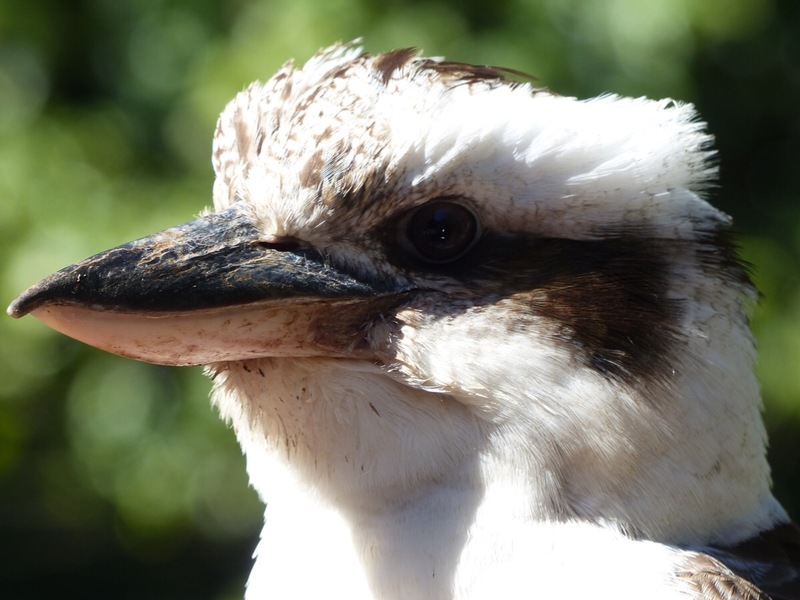 This kookaburra was very quick. He spotted what he wanted and zoomed in and out in a flash. We have had below average rainfall over this way, but are reminded almost nightly on the news of the drought conditions on the east coast. It looks terrrible. Lovely photos of you as a little girl. How sad your brother looked at the loss of his little orange boat. The drought is terrible. We need rain badly. I remember our picnics at Springbrook when we were little. They were fun times. I love the sound of Australian birds. We heard lots yesterday. 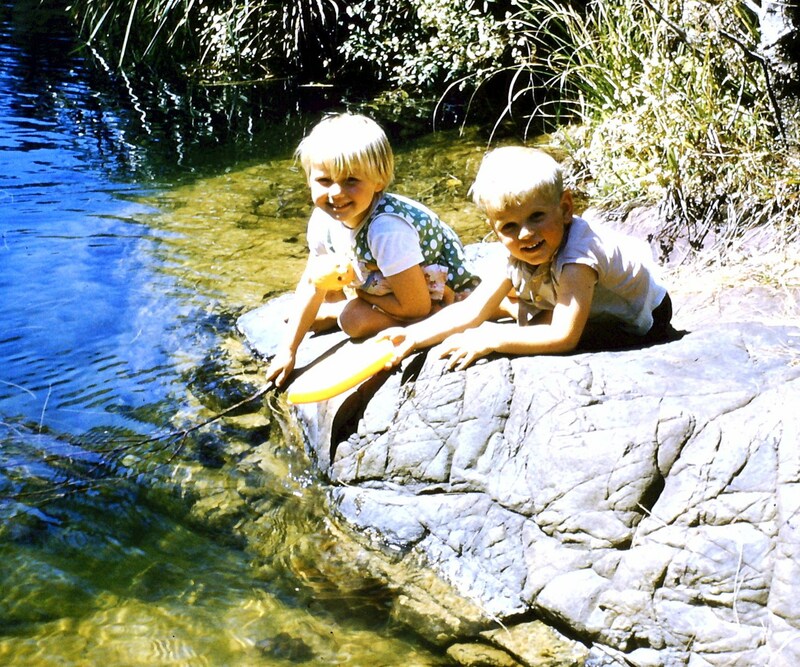 Precious photos of you and your brother! Sweet memories for you! We did lots of fun things when we were little. 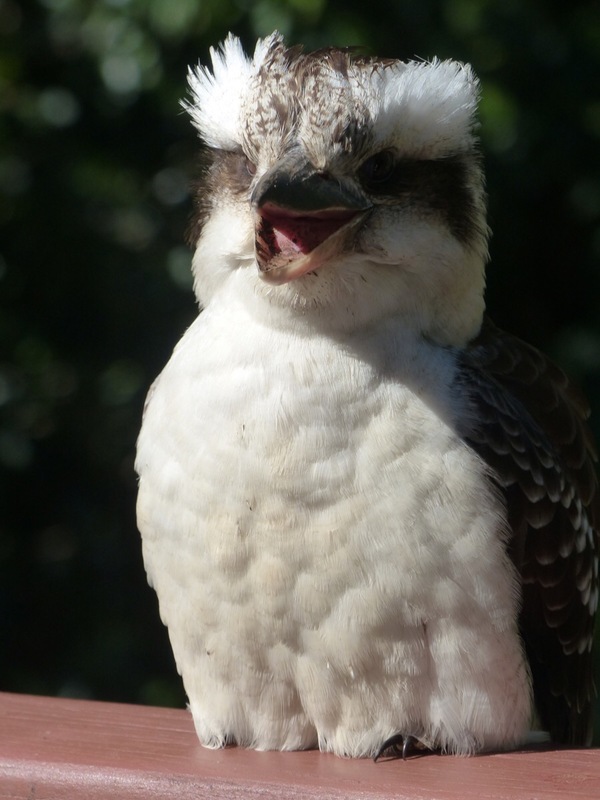 There’s an afternoon tea place in Sydney where the kookaburras zoom in and steal sandwiches. They know the exact one they want too and are so quick. They’re rather entertaining creatures. This one waited until I had cut off a bight size piece before he swooped. It was very well done. 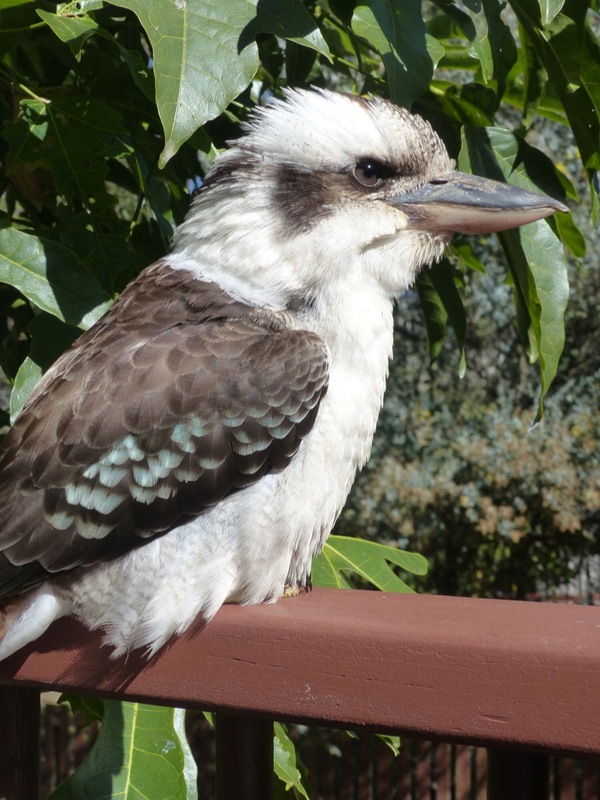 Kookaburras are notorious thieves. They need to be watched. Ha, ha. 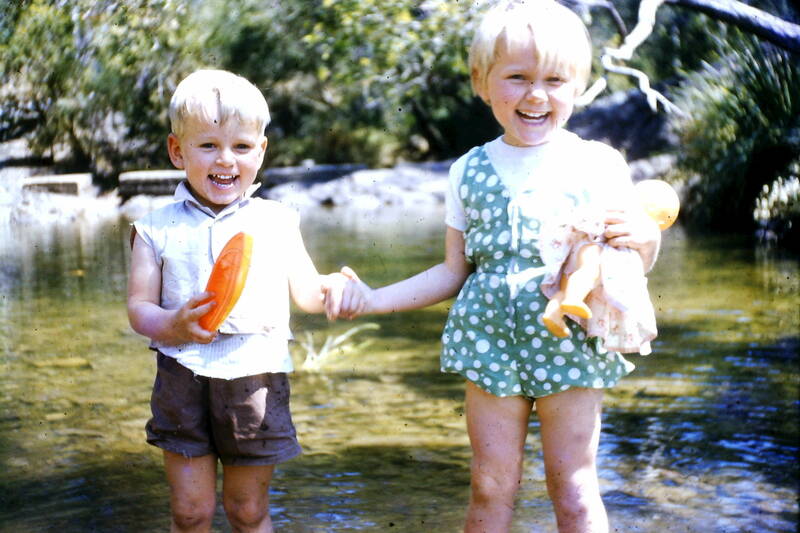 Those childhood fotos are lovely. Thank you for sharing them. 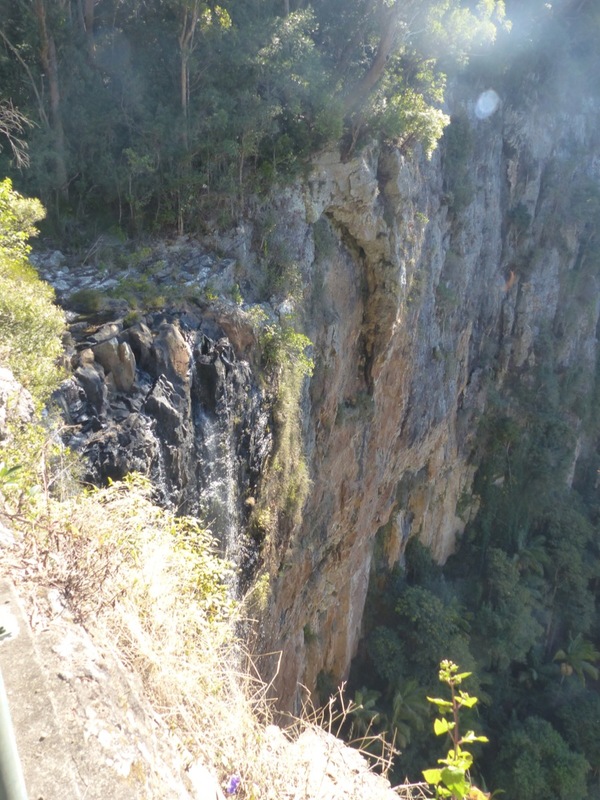 We had some lovely picnics by the waterfall. It is nice to go back occasionally. I enjoyed your post. Hope it rains soon. Thank you. Some rain would be great. How rude! I guess they’re known for that! Loved all of the photos, especially the older ones. He was a very bold bird and obviously well practised. It I see very upsetting to see the country so dry. No wonder kookaburras are stealing food. 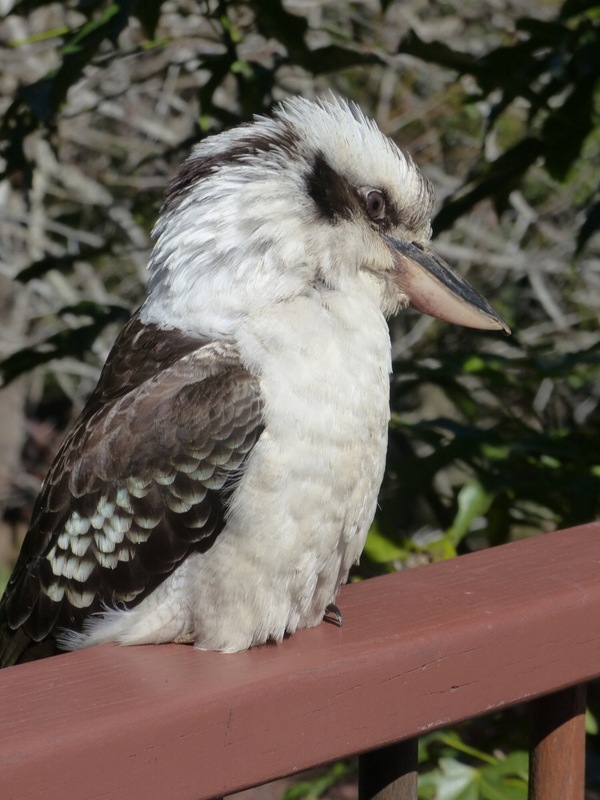 I’m fascinated with kookaburras. We had two sitting on a tree branch at Heathfield. They have a debonair aura about them. Lucky you had one up close and personal to capture those fluffy feathers. So sorry to see the rainforest suffering from climate change. Yet, you’ve still captured the beauty of our bush. Love your childhood photos, Deb. Who took those delightful pictures? Robert has always been a sensitive soul. Dad would have taken the photos. At the time he had a darkroom under the house and developed his own photos. Love those photos of you and Robbo. Such happy memories of the drives with Mum and Dad. You would have still been a baby, probably lying on a picnic rug.